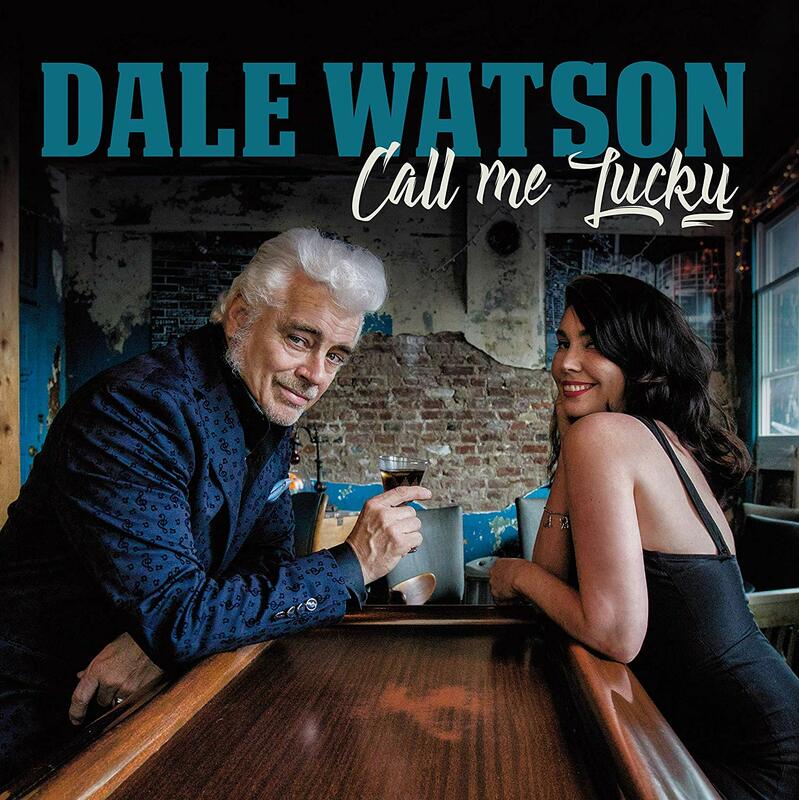 Rockabilly N Blues Radio Hour: Dale Watson- Call Me Lucky CD review! Dale Watson- Call Me Lucky CD review! Dale Watson's latest Call Me Lucky (on Red House/ Compass Records February 15th) is quite possibly his best release to date. Considering the quality of his past discography, that is an impressive feat. All but one of the songs were recorded at the historic Sam Phillips Recording studio in Memphis. While he's recorded around the corner at Sun Studio several times in the past, this is his first album recorded here. The album features the long-awaited duet with Celine Lee (who also appears on the album cover and certainly gives the meaning behind Dale's album title which kicks off the album in style) on the song they wrote over text messages to each other, "Johnny & June". Celine's Grand Ole Opry debut was performing this track with Dale which makes it even more special. The song hearkens back to the great country radio days of stellar duets from folks like Conway Twitty & Loretta Lynn, George Jones & Tammy Wynette and of course the namesakes of the song, Johnny Cash & June Carter Cash. Their voices have always blended well and we can only hope to hear more collaborations on record in the future. "Dumb Song" is a tongue-in-cheek account of doing all the things folks say he shouldn't do. The Johnny Cash groove is played by Cash's long time drummer WS Holland who we can hear yelling "yes!" at the end of the song. The first single, "Tupelo Mississippi & A '57 Fairlane", is a song that really sort of wrote itself after Dale purchased a Ford Fairlane from a man in Tupelo and decided to stop and get a dough burger at Johnny's Drive-In en route to bringing the car back to his home in Memphis. The horns in the song really give it a Memphis soul feel as well. Perhaps a song I was excited to finally get on album the most is "Run Away" which I heard him perform at a small bar in Memphis long before this project was released. Dale notoriously does not do set lists but since he was performing with some folks that hadn't played with him a lot this night, he wrote a list of songs he said he MIGHT play. I happened to notice the song title and thought perhaps he was going to cover Del Shannon's tune. I tried to imagine Dale's baritone voice soaring to hit those high notes but then was treated to this new song he had written. Then I tried to imagine Del trying to hit those low notes in this Dale tune. The song's melody and lyrics stuck with me for months and I was thrilled to see it's inclusion here. Another highlight (trying to pick highlights on this one is like picking a favorite child) is "David Buxkemper" which was inspired by a fan message from a gentleman with that name. He told his story to Dale and it was too good to pass up. The music is infectious and one to hit on repeat. You can hear the Memphis influence and it's combined with the Texas style that will always be a part of what he does. It's purely Ameripolitan with a little Memphis soul, humor, attitude and a whole lot of fun! You can call us lucky as well!